Brittany has some 1780 miles of glorious coastline, that’s around a third of France’s total coastline – in one region. 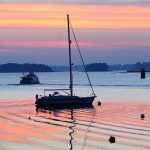 Everywhere you go there are great beaches, from the Pink Granite coast and hidden coves in the north to the idyllic beaches of Morbihan, Brittany really does have beaches to suit everyone. Inland, the unspoiled countryside is dotted with fascinating towns and villages steeped in history and culture. There are bustling markets, winding streets with quirky boutiques and plenty of museums. The pretty fishing port of Cancale is set on the borders of Brittany and Normandy. It’s only 9 miles from St-Malo and 31 miles from Mont-Saint-Michel. It’s the oyster capital of the Brittany coast. And there’s not much that beats a stroll by the harbour or relaxing at a café slurping oysters with a chilled white wine. You’ll find idyllic sandy coves and small family-friendly beaches with rock pools close to this vibrant little town. Even if you’re not a fan of oysters, a visit to a farm is a must. 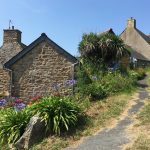 La Ferme Marine, a 20 minute coastal walk from the centre of Cancale makes for a fascinating visit and ends with a tasting. Take to the Chemin de Ronde coastal walkway and enjoy fantastic views over the bay, town and port. On fine days you’ll see all the way over to Mont St Michel. 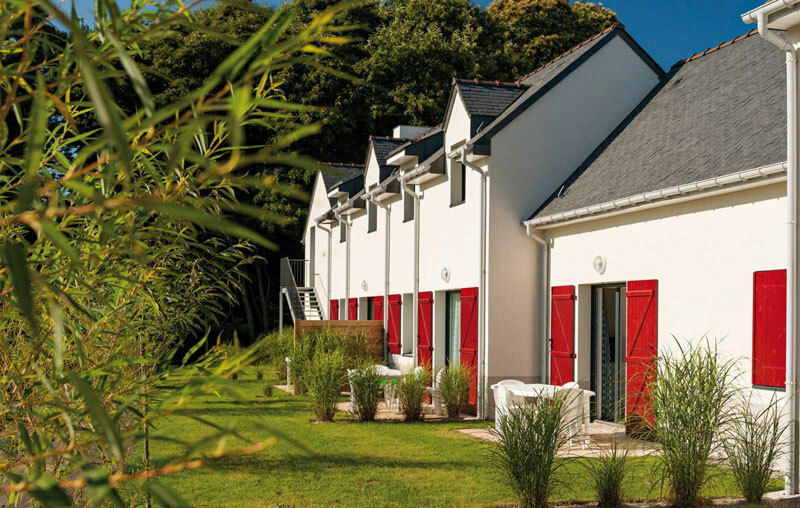 Where to stay in Cancale: The lovely 4* Les Hauts de La Houle residence, just 650m from the port and shops. With picturesque views of the sea, swimming pool and spa this fabulous resort offers apartments or split level cottages which sleep from 4 – 8. Light and airy living spaces, hotel service available, terraces for enjoying an aperitif under the stars with of course some local oysters. This is a holiday home resort that suits the whole family. Morgat lies on the Crozon peninsula in the far west of Brittany. The coastline is dramatic, complete with craggy cliffs, sandy beaches and intriguing coves. It all forms part of the 420,000 acre Parc Regional d’Armorique. Morgat itself is located just south of the main town of Crozon. It’s an ideal place for a relaxing coastal break and for exploring the surrounding area. There’s plenty to see and do from boats tours which take in the Vedettes Sirenes sea caves and a trip round the bay to see the local marine life or just relax. Go by kayak to get up close to the caves and explore their natural majesty. If you love beaches, then head to the Pointe de Saint-Hernot. 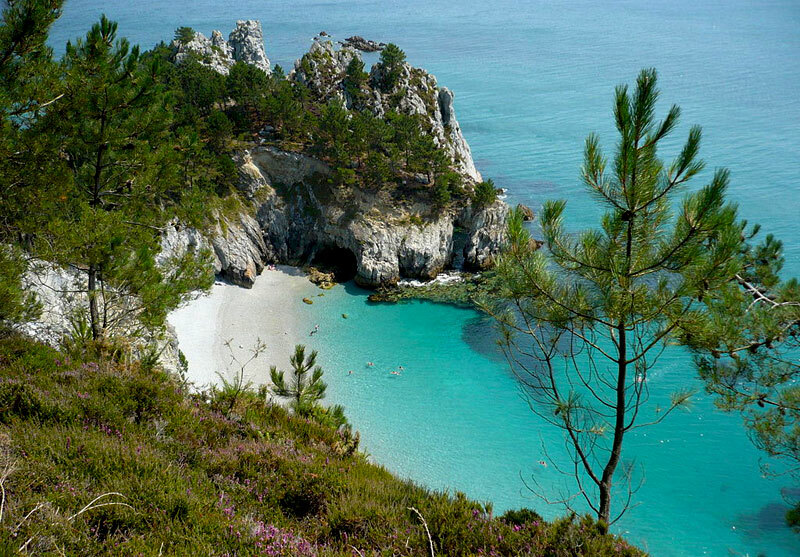 Just a 10 minute drive from Morgat, to discover a little bit of hidden paradise. You’ll need to reach it through a pine forest and some steps but it’s worth the effort to reach this absolutely stunning stretch of beach. 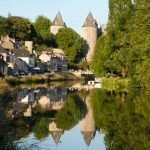 Morgat offers a wide variety of activities including plenty of water sports, tennis and mountain biking trails. The resort also has a number of bars and restaurants. Plus there’s a further range of activities and local shops are available in Crozon (3km). Just 17km from Saint-Malo and 10km from Dinard, Saint-Briac-sur-Mer, nicknamed the “Pearl of the Emerald Coast is a small, traditional Breton fishing port. It makes a charming base for exploring the surrounding area. Winding streets, ancients buildings, beaches and walkways make this tranquil village a haven for those looking for a relaxing holiday. 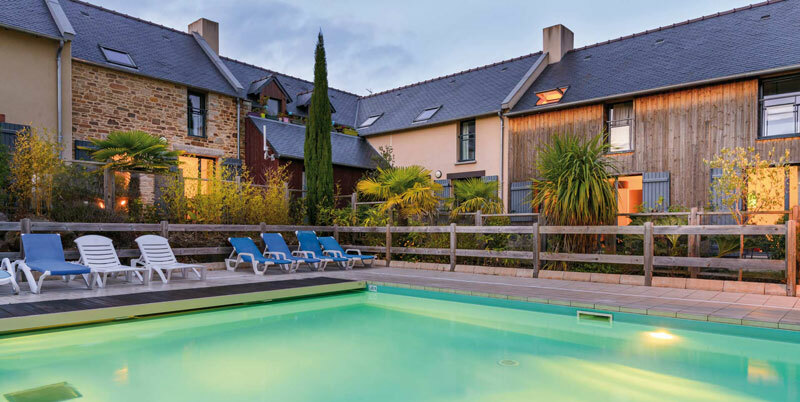 There are lots of water sports, you can walk along the coasting walkways giving breath-taking views of Dinard, go horse riding on Cap Frehel and much more. 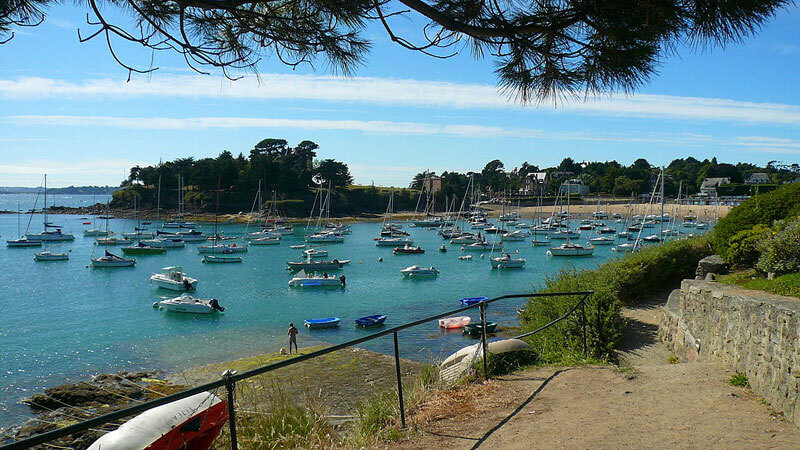 Must-sees in the area include Dinard Market which takes place three times a week. This huge bustling affair is perfect for shopping for fabulous local produce and much more. Visit the town of Saint Malo which is a foodie paradise. 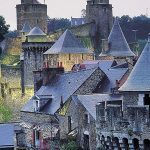 And, with Mont-St-Michel, a medieval town on an island that is truly unforgettable, just 40 minutes away by car, you’ll find plenty to do here. 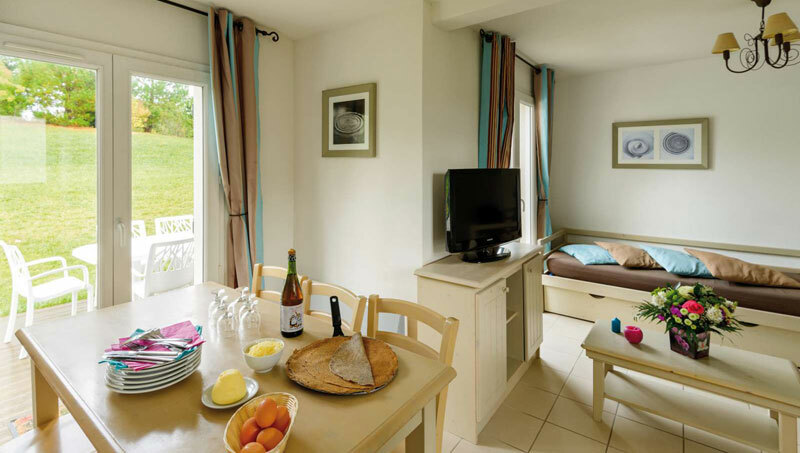 Where to stay: 3* Les Roches Douvres is just 300m from the beach and golf course, and located at the entrance to the town, around 1km from the centre. With hotel service available, indoor heated pool, spa and a range of apartments sleeping from 2-4 people, this holiday residence makes for a great base to explore the area. 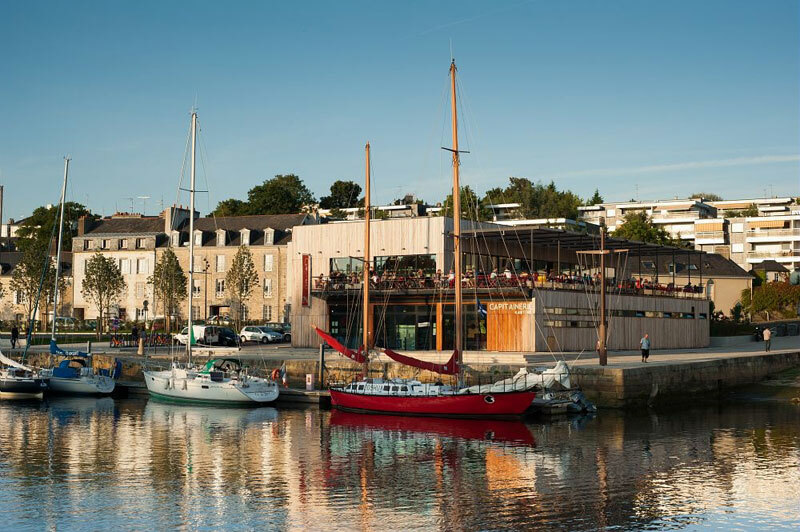 Mid-way between Finistère and Morbihan, 10km from the historic city of Lorient, inland Queven is a charming town. It’s typical of the region and a great base for exploring the area. Surrounded by glorious countryside, it’s an idea holiday choice for families. The beautiful beaches of Guidel-Plages are just 10km away and there’s plenty to do around and about. History fans will certainly enjoy the Keroman Submarine Base. This is certainly not the sort of thing you come across often, and you can take a fascinating tour. Kids will adore the Parc du Quinquis where they’ll be able to get up close to the animals – there are sheep and llamas, peacocks, pig and rabbits and many more; food for the animals is included in the ticket price. The Musée Nationale de la Marine, is based in a star-shaped fort in Port Louis. Dedicated to the history of the French East India Dock Company, created in 1664, it’s a very interesting museum. 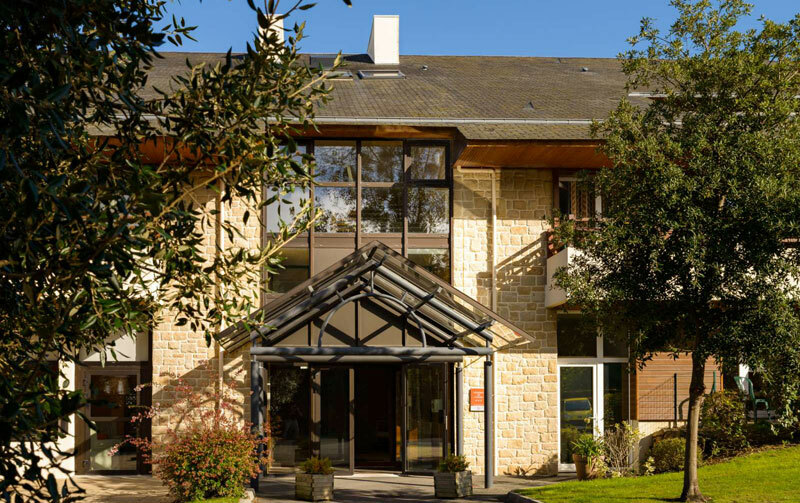 Where to stay: 3* Domaine de Val Queven on the edge of the 18-hole Queven golf course. This lovely family friendly residence has a heated pool and spa and is about 1km from the shops. Apartments and cottages sleep from 4-8 people.